Here’s a throwback to Grindberg and Pacella’s campaign days. As the 2018-19 school year draws to a close, North Dakota State must say goodbye to another Student Body President and Vice President, Chase Grindberg and Marisa Pacella, respectively. Though the goodbye is not without one last platform accomplishment: rolling free blue books to students in class at the time of an exam. This initiative began with making Scantrons free and provided during multiple-choice exams, and come fall 2019, blue books will become a part of that program. The program will share funding between student government and the Provost’s office for the first three years; student government will pay for year one and half of year two, and the Provost’s office will pay for the other half of year two and year three, and every year after that. That means that by fall 2021, bluebooks will be completely paid for and provided by the Provost’s office. That also means Grindberg and Pacella can check off one last platform point before leaving office. 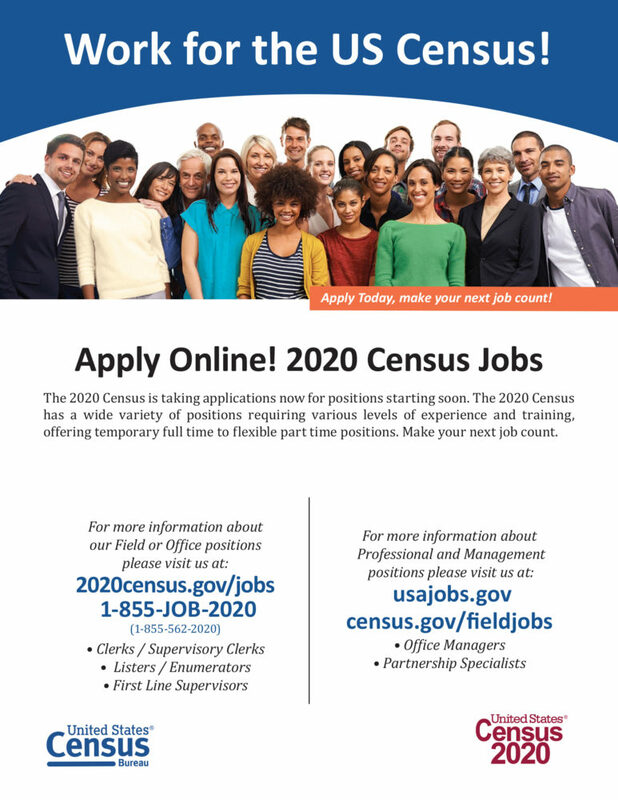 The two have overcome their fair share of challenges, including fewer dollars to work with than ever before due to low enrollment. This required a complete re-budgeting that hadn’t occurred for 10-20 years prior, according to Grindberg. “I look back, and I’m impressed with how student government has changed me as a person and brought me to a better place,” Grindberg said. Reflecting on her year as student body vice president, Pacella said she was proud of accomplishing nearly all of their platform points, including long-lasting initiatives and building relationships with the students and administration. For Grindberg, his pride lies in student government itself, noting that it is now moving forward as a cohesive group and hoping that carries into the next administration. Though she said she wasn’t perfect, Pacella said, “I cared perfectly,” leaving no student concern unaddressed during her term. Agreeing with Pacella, Grindberg said he hoped to see the same student concern carry over into the next administration. Though their term may be ending, both Grindberg and Pacella expressed confidence and excitement to see the direction President-elect Mason Rademacher and Vice President-elect Joseph Vollmer take student government in, with the assistance of the exiting administration of course. Pacella will be pursuing an opportunity with United Way of Cass Clay, aiding with philanthropic donations, and Grindberg will be pursuing a career with Corteva Agriculture Sciences working to pioneer seeds. 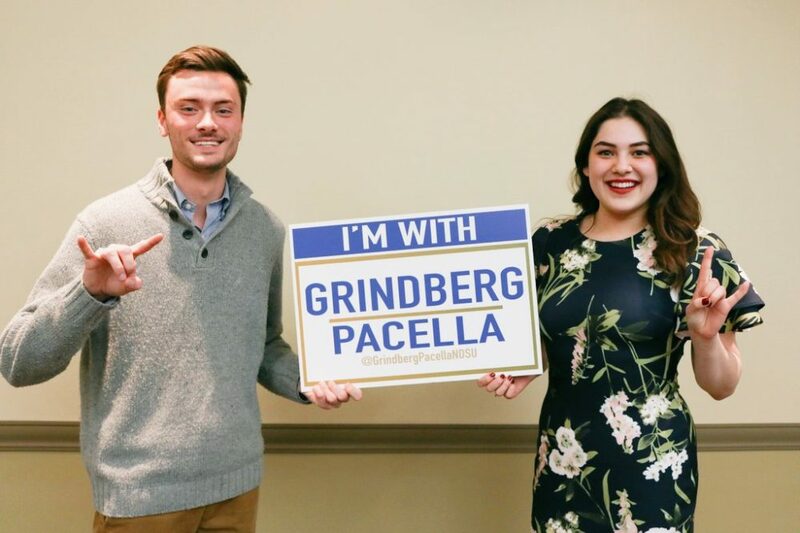 To the students of NDSU, Grindberg and Pacella said, “Thank you,” not only for being elected in the first place, but for the opportunity to serve them. The two also extended a shoutout and thank you to biology professor Kimberly Booth for ensuring that open education resources were available in her BIO 111 and BIO 126 classrooms, which amounts to about $40,000 in student savings. 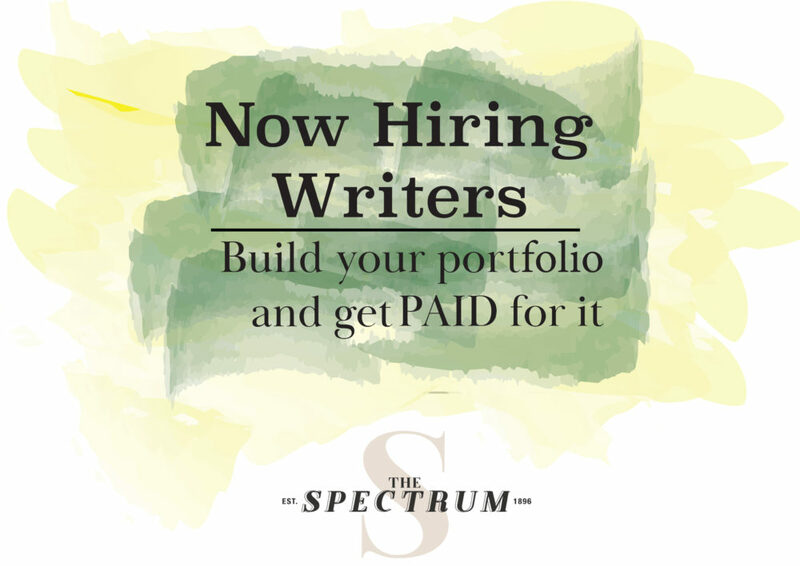 Booth also plans to implement the free New York Times subscription Grindberg and Pacella made possible in her course curriculum come fall semester.